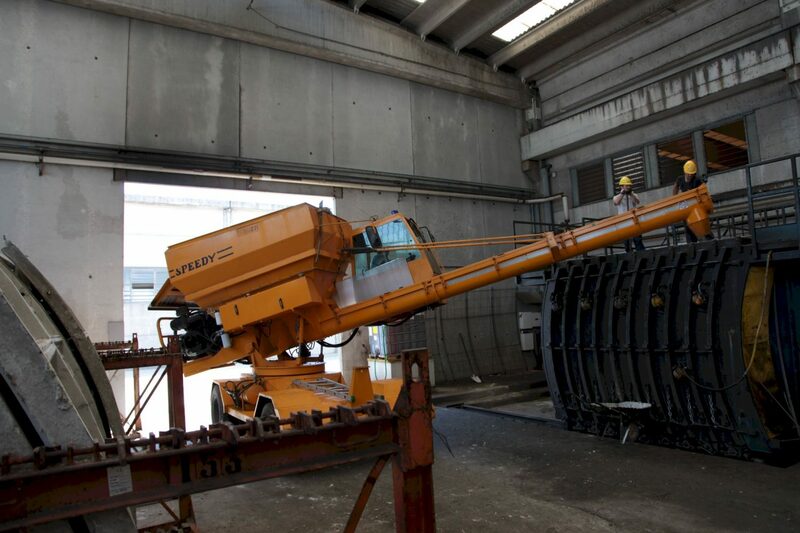 Concrete Distribution in a Precast Plant is a key factor for efficiency of the whole system. A flexible and reliable solution is represented by Speedy, the Concrete Distribution Vechicle engineered by Bianchi Casseforme. The way precast plants are set up is different case by case. 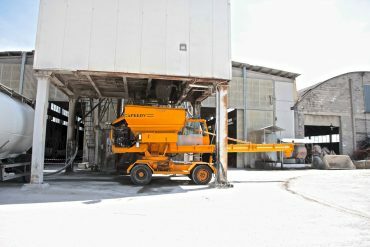 Very often the starting point is a single building where the first moulds are placed, close to the concrete batching plant, and completed by a storage area, most of the times outdoor. 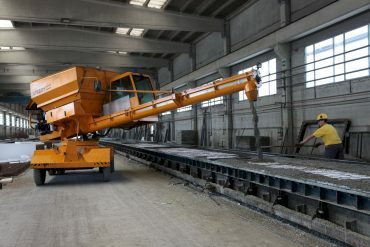 Concrete distribution can be made in several different ways: from the simplest manually operated buckets, lifted by overhead crane or by forklift, up to the most integrated and automated systems made by flying buckets and concrete casting machines. 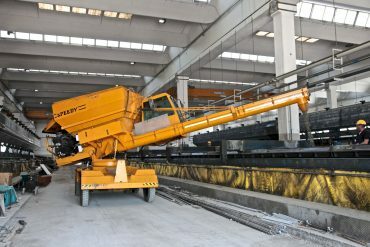 In case of expansion or change of layout of the production area, the whole concrete distribution system needs to be re-designed as well, according to the new needs of the factory. 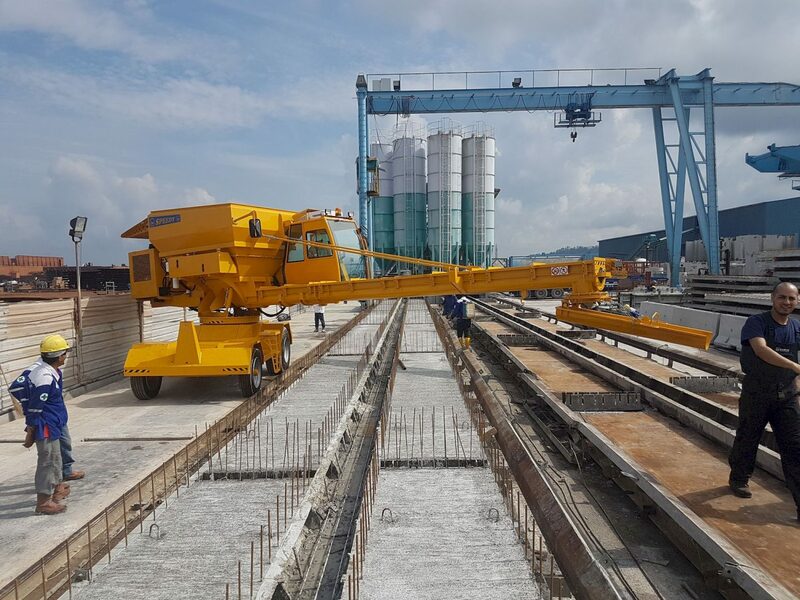 A flexible and reliable solution is represented by “Speedy”, a vehicle running on wheels able to carry concrete directly from the batching plant to the moulds. This machine is conceived to satisfy all the needs concerning carriage and internal distribution of concrete. 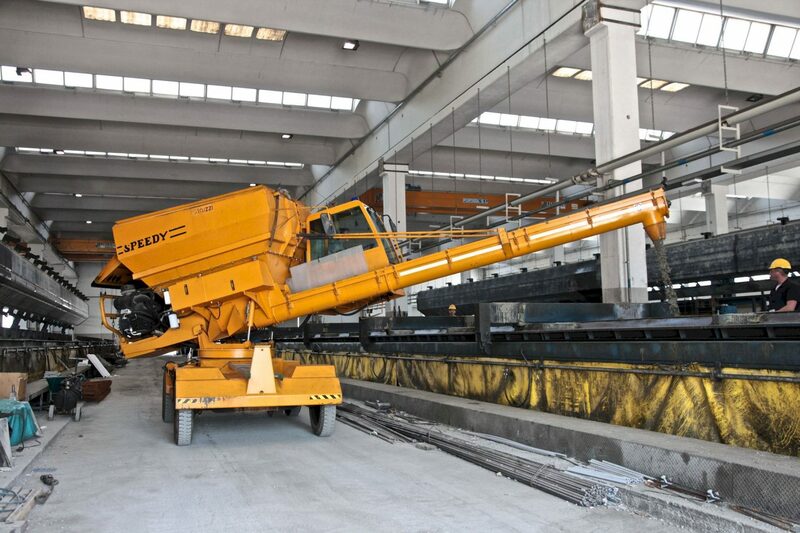 Speedy, because of its versatility and manoeuvrability, represents a rational and a cost-saving solution to achieve a quick carriage process along with a precise distribution of concrete into precast plants, with a remarkable casting cycle time decrease and no need of external infrastructures. 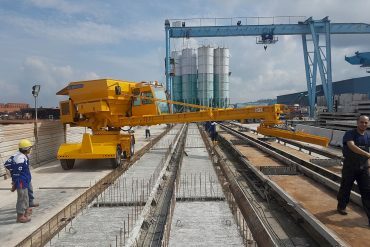 A single operator can carry concrete from concrete mixing plant. The distribution into form-works is guaranteed by a forefront arm, that can rotate 360° on a fifth wheel driven by a reduction gear. 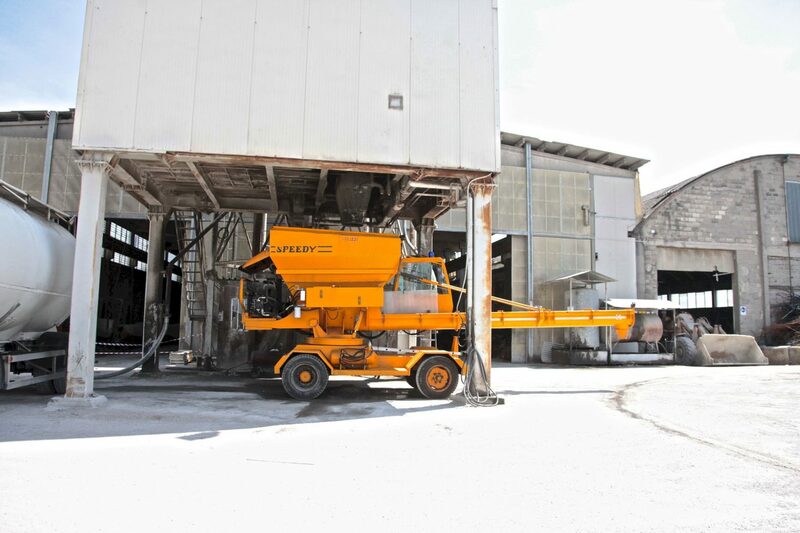 The group screw/hopper can rotate up to an angle of inclination that allows allowing to cast up to an height of more than 3 metres. 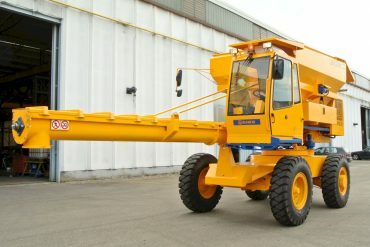 Rigid and strong structure suitable to operate on rough grounds. Powered by an diesel engine driven by hydraulic servomechanisms. There are different models of engines, able to meet all the emission requirements of the different countries where it will operate, up to the Euro Stage IV / U.S. EPA Tier 4F. installed power from 75 to 102kW at 2200rpm. Transport of concrete without any aggregate segregation phenomena. Possibility of installation of a concrete mixer and/or a vibrating system inside the hopper. Distributing and unloading system made by Archimedean screw, this operation will guarantees the correct quantity of concrete needed in every situation. Discharge of concrete by means of a screw conveyor housed in a rotating arm protected with a hinged upper cover and an internal antiabrasion plates. Reduced wheelbase to guarantee a minimum radius of curvature and allowing the operation into tight spaces. Different type and dimension of wheels: tubeless or superelastic; twin or single back wheels, dimension according to customer needs and type of ground. 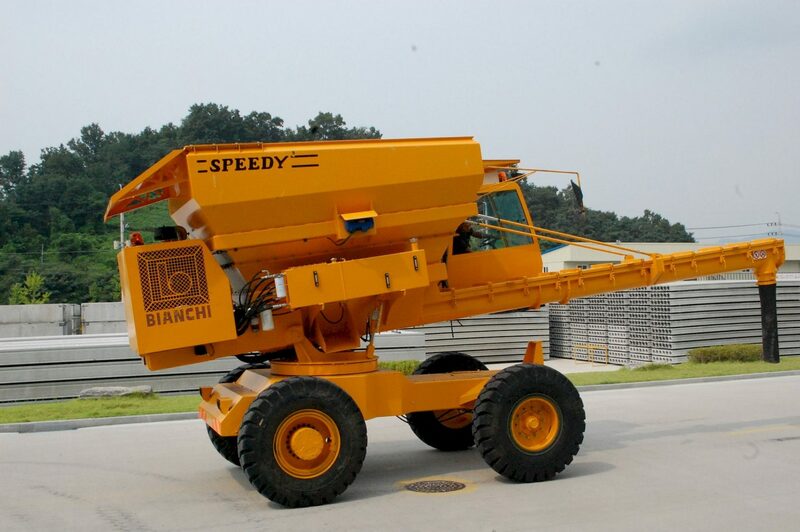 Started in 1964, Bianchi Casseforme Srl, is an expert partner in the design, manufacture and commissioning of plant and machinery for the precast concrete industry. © 2018 BIANCHI CASSEFORME S.R.L. ALL RIGHTS RESERVED.